We can save you the time and money of renting lifts! 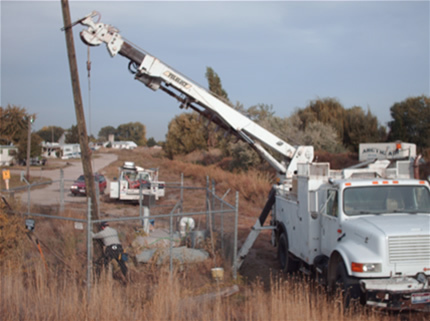 We have a digger derrick truck, 35' bucket & 50' bucket. Call us for parking lot lighting installation, maintenance & repair.